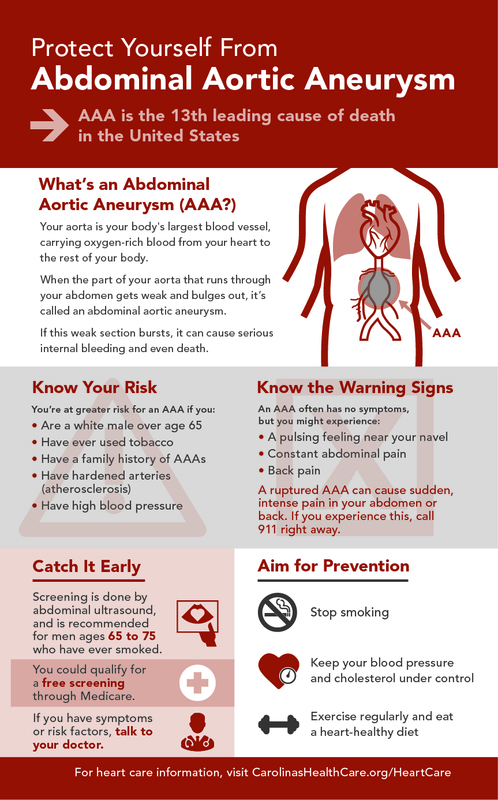 When you think of an aneurysm, what’s the first thing that comes to mind? If you’re like most people, you’d probably say the brain, or a stroke. Dr. Arko says Curtis’ case is pretty typical in terms of who experiences AAAs. “Older adults with any history of smoking and a family history of aneurysms are most at risk,” he says. Other strong risk factors? High blood pressure and obesity. Most of the time, patients don’t have any symptoms. That’s why Dr. Arko says screening is so important. “If we can fix the aneurysm before it ruptures, the outcomes are so much better,” he says. Curtis realizes he’s one of the lucky ones. He had no warning signs before his rupture, and he knows things could have ended differently. “I know how close I came to dying,” he says. “I think about it every day.” Want to learn more about what happened to Curtis? Watch his story.